Reading a short story that features a favored character from a 5-star novel usually would leave me somewhat disappointed, wanting more. Yet, Julia’s short tale has managed to leave me in the delightfully satisfying spot of saying, ‘Just so.’ Inspector Crombie first endeared himself to me in A Raucous Time during an extraordinary rescue scene that takes place on railroad tracks. In An Explosive Time, Crombie takes a center stage position and this cantankerous yet adorable character became an all-time favorite. From the first paragraph of Crombie’s Christmas, I found myself squirming with anticipation for the marvelous tale that I knew was to come. Crombie, a ‘Columbo-like’ detective who is somewhat irascible and slovenly, doggedly follows any unanswered trail to its end. Along the way and despite himself, he cannot help but be a gentleman. 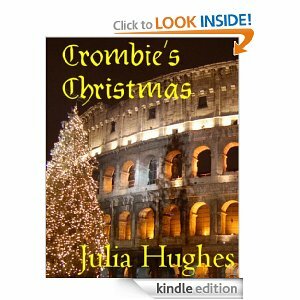 On a wild goose chase to find his long-lost brother, Crombie finds himself on Christmas Eve in the Italian equivalent of the House of Usher. All of his fun takes place in the Hotel Perotti and the props for frivolity include Signora Perotti, a bucket of water, an array of dinosaurs, a gnome of a man and his wife, and a trio of feral cats. I needed a few tissues to wipe off my glasses in order to finish the story! Ms. Hughes is simply masterful in the way that she weaves these unusual characters and props into such a fun, fascinating story. Within her stories, however, she never fails to offer readers tidbits of wisdom-evoking thoughts. Her use of the two English phrases that are on a cross stitch sampler that hangs on the wall in Crombie’s room is quite clever. Both phrases initially seem menacing to him yet, by the story’s end, Crombie has the last laugh; mostly at himself. Free download until Dec. 30 U. S. here. Or in the U.K. here. 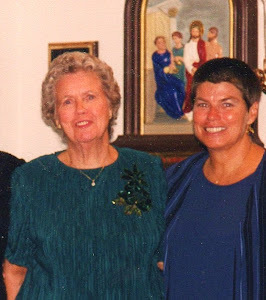 Julia Hughes is not only an author of 5 thrilling novels that have become personal treasures; she is more so a treasured friend and mentor. Her newest novel, a YA fantasy that is for all young-at-heart readers, is featured here and is available for download. After a last round of editing and proofing, The Griffin Cryer is formatted and ready to hit the paperback stands. Release is due sometime in March and to celebrate, Julia and Talon Publishing are giving away two signed copies! In a free and easy-to-enter competition, you can submit as many entries as you wish! To sign submit your entries, click here. Thank you, Julia, for gracing Treasured Encounters with this, a most delightful interview! Dealing with parallel universes, disgruntled warriors, and hungry griffins is the simple part of Frankie's life. At school, Frankie learns friends can become enemies, teachers aren't always right, and the boy of your dreams can be all too human. This adventure for the young at heart is published by Talon Publishing and available to download in the US, here. And in the U.K., here. 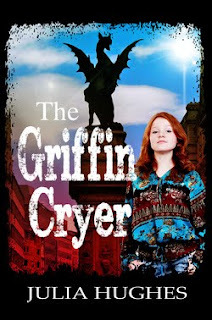 THE GRIFFIN CRYER is Julia’s 5th novel. Four previous novels, each one a treasure, include 3 thrilling Celtic Cousins’ Adventures: A RIPPLE IN TIME, A RAUCOUS TIME and AN EXPLOSIVE TIME; and THE BRIDLE PATH is a delightful romantic drama/comedy. Writing a novel is not as easy a task as some might think! What is it that compels you to pour a ton of glue on your chair, put pen to paper (or fingers to keyboard), lock the door and shut off the phone? (Had to stop and think about this one!) I think everyone indulges in daydreams from time to time – what would our world be like if, say for example, Lee Harvey Oswald had never been born? I take these fantasies one step further and, honestly Dody, it’s annoying to other people because I can easily lose myself in an entire movie running inside my scatterbrain mind. There are more questions than answers; so many ‘what ifs’ and ‘whys’. I guess you could say I’ve invented my own solutions to mysteries that niggle. Writing down these stories seemed a natural progression. Since I am an avid fan, having read each of the aforementioned novels, I’ve come to appreciate your great ability to weave into your stories not only the day-to-day minutiae of living but also historical facts, geographical landmarks and mystical possibilities. Are you a student of history; an ardent observer of people and life? I wish! Who wouldn’t love to live their lives in study? I’m so envious of youngsters nowadays who have so many opportunities to access learning. The internet has widened things up to us oldies as well but, in another life, I would be a historian. For me, history speaks. It’s all around us, sometimes mysterious, sometimes quite plainly saying, “This is how your great grandmother lived, worked and played.” Our ancestors’ ‘magic’ is our science and, in the years to come, for certain many mysteries will be explained by science to our children. I’m an eclectic reader. Growing up, books were expensive and hard to come by, even second-hand. Your younger readers will laugh, but libraries were strict about lending books. We could borrow five non-fiction, and only two fiction, or stories. Honest! I’m sure the UK has never really gotten over war time rationing! So after picking out the two story-books, we quickly became adept at choosing non-fiction books that weren’t as dry as dust. The Edwardian adventurers were always my favourite non-fictional reads: slap a pair of extra long johns on and off they’d go to conquer Everest or the North Pole! Eleanor, wife to King Henry II also holds a fascination for me. Her name derives from the Provencal for "other Aenor," (Aenor being Eleanor's mother). I’ve shamelessly used the prefix “Ella” to christen the world of the Rider “Ella-Earth”, or “other Earth.” Books that I love best entertain, enlighten, and leave me with the feeling that I’ve encountered a new experience, and made new friends. 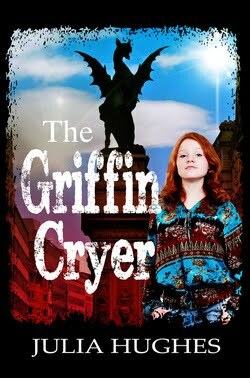 THE GRIFFIN CRYER is being launched as a YA fantasy novel and yet I, as an adult, find the story to be delightful, deeply moving and intelligently insightful. What makes this novel one that can appeal to both audiences? It’s hard being a teenager; it’s also pretty wonderful too as whole new worlds open up to you. I know a lot of awesome young people, and I feel for them; there is so much to learn about relationships and being responsible for your own decisions in those few short years. I can’t hope to get inside their minds, but I hope that the story manages to convey empathy for the problems they face. Hopefully too, those who are young at heart – like you Dody – and those who are able to empathize with young adults will also enjoy THE GRIFFIN CRYER. Who is Frankie? From where in your mind did she spring? Is she the young Julia? Frankie (Francesca) Shaunessy is a little bit of a tomboy. She’s a conundrum, like most teenagers. She’s uncertain about where she fits in and, deep down, she loves her mum, her step-dad and her brother. She wants to be better than she is – she’s worried she isn’t measuring up. She’s also aware there’s a lot of sympathy for her and her brother, Michael, who has been comatose for almost three years. She doesn’t want sympathy; she just wants her brother back. This makes her prickly, and adds to her feelings of alienation. I wanted to make Frankie an ‘outsider’; the Rider of course is also an ‘outsider’ so when they meet, they have this in common. I wish the young Julia possessed half the adventurous spirit of Frankie. In writing the exciting segments in which The Rider and his griffin ‘cross through the membrane from Ella-Earth to Earth’ and back, did you conduct research, base the process on scientific data? I wanted to “research” but, while much better and brighter minds than mine agree that there’s a strong possibility that other universes do exist, they haven’t quite pinned down and dissected the theory. There isn’t just one theory either, there are many. It is something that’s fascinated me since reading “The Magician’s Nephew” (C.S. Lewis’s Narnia Chronicles), and it was a question of mulling theories over in my mind until I felt comfortable with the universe that contains “Ella-Earth”. I visualized ley-lines thrumming with magnetic energy to keep our two worlds separate, yet conjoined. Next I imagined monoliths, or standing stones, ‘earthing’ this power. I then introduced a third element which could control both monoliths and ley-lines, and so make travel between the two worlds possible. When you scripted the dialogues that are especially sensitive and deeply moving, did you ‘step into the minds’ of each character? For example, between Frankie and The Rider; between Frankie and her mum. Spot on! I don’t know how else to write dialogue, apart from getting inside a character’s mind, and then putting words into their mouths. If a stray griffin should come my way and offer me a flight, what would The Rider instruct me to do in order to fly aerodynamically? If I had one wish to make, I’d wish for a griffin to offer you a ride. The large veins which emerge from a griffin’s shoulders in order to inflate their wings and circulate blood are especially sensitive. Place your hands there, firmly but gently. Now use your body weight to indicate direction and pace, much as you would if riding a horse. Bending forwards or leaning back indicates diving or soaring upwards to your griffin. Griffins are intelligent creatures, and have the equivalent vocabulary of, say, a working sheep dog, so you can also give verbal commands which will be understood. “Good griffin” and “dinner” are what most griffins want to hear. 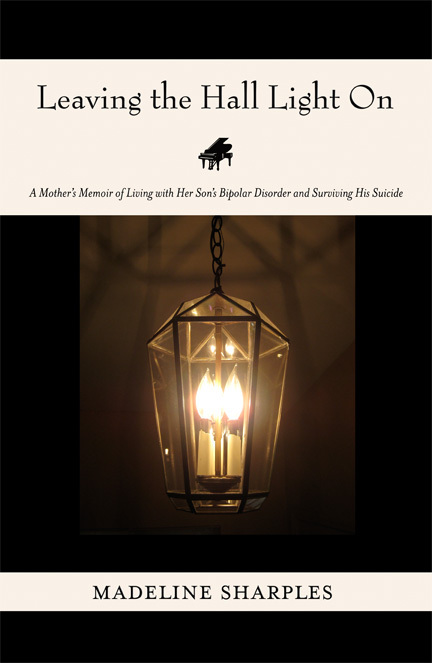 Chapter 20 is one that is profoundly moving and special to me though some readers may find it ‘strange.’ What message can you offer readers to clarify its meaning? Thanks Dody, both for the kind words, and the question! It is a strange, extraordinary chapter. I sincerely hope readers will be willing to allow their imaginations to take flight and go on this journey with Frankie. I wanted to explore the idea that we have the ability to enter another’s world, either physically or mentally, and to help them escape to a better world. There are so many wonderful quirky characters and dialogues throughout the story. Is it safe to say that your own personal nature is one that is quirky? I like to think that I’m down to earth. Others think I’m a scatterbrain. I do have a terrible curiosity. I always felt so sorry for poor Pandora; I too would have opened that box! For the ending, was it difficult to settle on Frankie’s decision? Will there be a sequel? Incredibly difficult. Frankie’s very loyal, and she was torn. I think she listened to her heart for her final decision, and stuck with the person who needed her most. Stephen King compares writing to an archeological dig. You discover bones, and then have the task of working out what goes where and how the creature looked and moved. In other words, the writer breathes life into dust. He goes on to observe that sometimes you strike lucky and find a complete fossil, which needs little or no assembly. I struck lucky with THE GRIFFIN CRYER. Frankie and The Rider’s story formed complete and almost wrote itself. The biggest difficulty was in knowing when to stop and I’m longing to explore more of The Rider’s world. I hope readers will feel the same way and, if so, there will definitely be a sequel. I’m just hoping for the same excellent beta readers to help mould the next episode of Frankie and The Riders’ adventures. Without the input of one beta reader in particular, this story probably would still be just an idea, and I’m eternally grateful for your generosity. Thank you, Julia, for being so candid and informative with your answers. I am so looking forward to a sequel of THE GRIFFIN CRYER. Consider me an available fan! Julia's website treats her visitors to a variety of fascinating posts. 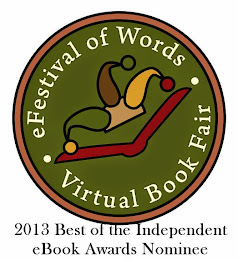 To visit 'A Ripple in Time,' click here. There are excerpts from each of her novels, including THE GRIFFIN CRYER. 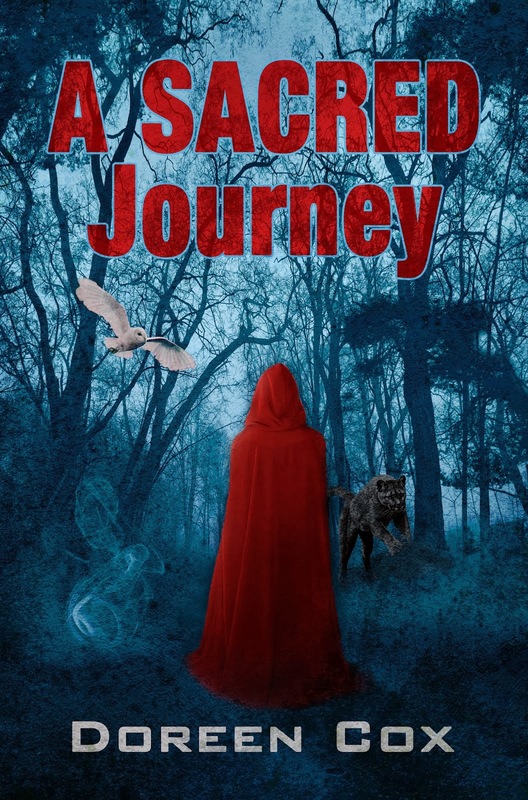 In addition to her reviews of other indie authors' novels, Julia's site showcases incredible modern day fairy tale short stories written by Randall Peterson. Julia also offers recommendations of reviewers and book cover designers that are credible. Connect with Julia on Facebook. Connect with Julia on Twitter. 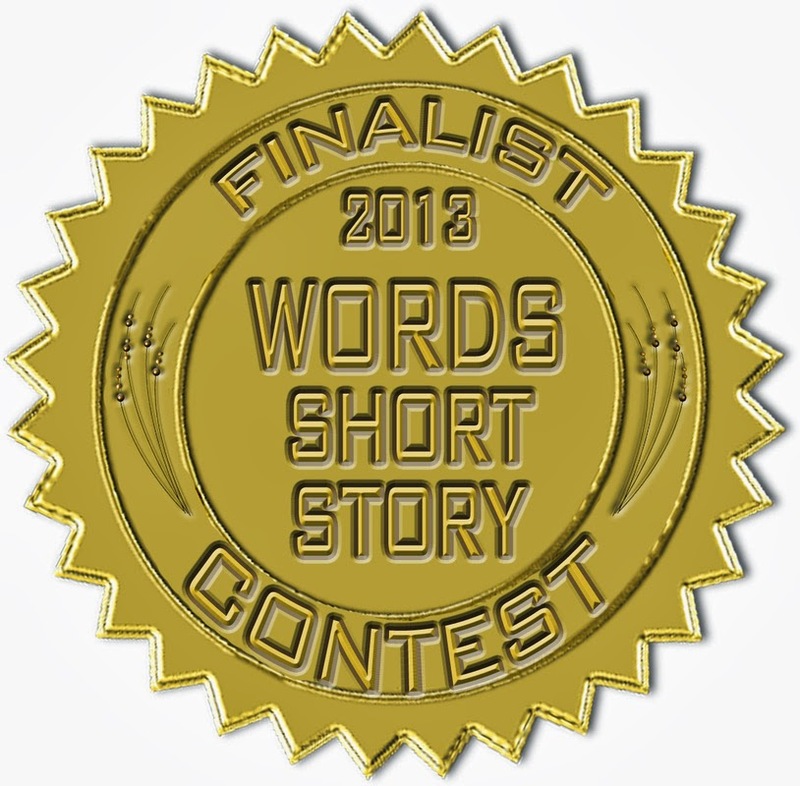 A Fanciful short story written for my sister, Marty. Once upon a time in a village near the ocean, there lived a female inhabitant named Martinique. Her village was named Allegretto. The village truly lived up to its name for its daily pace was energetic and the villagers went about their daily tasks in the happiest of moods. Though near the ocean, Allegretto was located in a lush valley that was surrounded on three sides by a range of small mountainous ridges. Thus, the villagers were able to maintain a high degree of self-sufficiency. Crops were planted, nourished and harvested then divided into appropriate shares for each family. The remainder was prepared for delivery to the common market. Some inhabitants were building or repairing various structures whereas others were busy at the forge, making the tools necessary to get their jobs done. Another group was out on the ocean since fis hing was one of Allegretto’s main industries. Some of the more recent inhabitants’ hiking and mountain climbing endeavor was even attracting folks that lived in far-away places. Allegretto was a fascinating place to visit. It had one aspect, however, that made this village even more unusual. Now some might think that this is because it was the closest village to the mighty ocean. Being close to the ocean is certainly worth a moment of envy. Yet there is an aspect of Allegretto life that is worthy of the highest esteem. The reason relates to an unusual education component for their children. All villages provide education, of course. All children are taught such basics as language and counting skills for villages thrive when their folks can communicate well with each other and do the counting kinds of tasks that keep common goods on an equally shared level. Most children in the surrounding villages also learn to play some kind of musical instrument for music is viewed as a form of communication, speaking more into the hearts of all inhabitants which served to bring on a sense of unity. In Allegretto though, one can become awed when observing a most fascinating kind of class. As one of the tallest women in the village, Martinique caught the eyes of most visitors. When she was observed while teaching this unusual class, most visitors became quite spellbound for her movement around the children conjured up visions of such woodland folk as fairies in flight. Rarely were fairies able to be observed by inhabitants. It took more time and patience for such visions than most inhabitants could garner. Martinique, however, was as unusual as the class that she taught. When she was just a child, Martinique excelled at every task that was put before her. She completed her language and counting classes, and even the everyday chores, with such ease that there was extra time available for her to explore the nearby forests and beaches. Martinique loved the smell of the ocean and would spend time collecting shells and other interesting artifacts that the tides left upon the shore. With this thought, Martinique began to notice the feel of the ocean’s breezes on her cheek and how the ends of her hair were lifted up and from side to side in concert with the wind. She looked up then at the trees that stood near the edge of this beach. “The trees are playing in the wind, too,” she thought. Smiling, Martinique stood up, held out her arms and began to mimic the way that the tree limbs would dip down, swirl and fly up as the wind caught them in different ways. Martinique yelled and laughed in glee with the waves, the birds, the trees and the wind. Martinique took a deep breath as her eyes settled upon the rushing dance of splashes of water as it cascaded down the cliff, dancing up in seeming glee upon all the rocks and making the nearby bushes sway to and fro. “They are dancing!” she thought. She jumped up, clapping her own hands in glee, moving around and around. “I’m dancing!” Martinique shouted out loud and just let her body go, with no hesitant restraint. She ran to the branches of a nearby tree, running her hands through the leaves as she turned around and around. Then danced on to another tree, some bushes and even a fuzzy caterpillar got some attentive movement. As she was swaying to and fro around this caterpillar, Martinique began to realize that Dancer was also moving in sequence with her. Every movement that she took, Dancer did also. “We are dancing together!” Martinique shouted with glee. Dancer’s own laughter, though silent, was echoed all around them as each aspect of flora and fauna seemed to come to life with abandoned movement. After a whirl of dancing around with all of the forests’ inhabitants, Martinique needed to catch her breath. Dancer settled next to her and sent another thought. “You, too, are a dancer. Dance is in your soul and has now been called forth into expression. You will find your way into a Purpose as you move towards being an adult. From this day forth, every aspect of life will be seen by you as a dance and you shall teach this to others.” With that, Dancer began a fluttering kind of exaggerated dance movement and, with a final flicker of her wings, disappeared. This is the story that Martinique tells to those who are interested enough to listen.